Overcoming a deeply impoverished childhood, Gertrude Lewis struggled to build a career in education, putting herself through college and graduate school. At the age of 32, she earned a bachelor’s degree from Ohio State, continuing on to a masters degree at New York University (1933), and finally, at age 51, a PhD from Yale (1947). For many years after receiving her doctorate, Lewis was employed as a Specialist for Upper Grades with the U.S. Office of Education in Washington. Among other career highlights, Lewis spent two years in Japan (1950-1951) as a Consultant in Elementary Education in the Education Section of the Allied Occupation government (SCAP). Lewis outlived her life partner, Ruth Totman, dying at home on December 10, 1996, a few months after her one hundredth birthday. The Lewis Papers document the work and life of an educator of the masses, a traveler of the world, and a woman of the twentieth century. Documents pertaining to her work as an educator of both young students and veteran teachers show the changes within the theory and practice of pedagogy over time, over various geographic locales, and also highlight her role in that change. This collection also documents the numerous on-going side projects on which Lewis worked, including fostering creativity in schoolchildren, a biography of Franklin D. and Eleanor Roosevelt, and her own poetry and prose. Excerpted from For the Love of Children: Gertrude M. Lewis, Educator, by Conrad Totman. Jean, as Gertrude Minnie Lewis was known to friends, was born May 11, 1896, in Pittsburgh, Pennsylvania to a coal miner, William H. Lewis and his wife Minnie (Bienfang) Lewis. She was the third of five children: Willie, Harry, Gertrude, Ernestine, and Minnie. When Jean was seven, in 1903, Willie died at age eleven; her father died two years later, age 33. Her mother remarried to Paul David Close, by whom she begat three other children: a daughter Thelma and two sons, Paul and Carl. Jean’s early childhood was severely unhappy. Her family was poor, and her father’s death left them in dire straits. Whatever the particulars, the years were sufficiently grim that Jean at some point left home. She never talked about those matters, save to her beloved friend and lifemate, Ruth Totman. In 1913, when she was 17 years old, Jean was working in Bellaire, Ohio, perhaps as a waitress in a bar or cafe that catered to the river’s traffic in boatmen and other transients. And perhaps it was there that she was found by the minister Joseph Nelson Scholes. He befriended her at some point and provided enough assistance so that she could resume her education, completing high school in Johnstown, PA in 1918 at age 22. Reverend and Mrs. Scholes took Jean into their family, and she became a de facto step-daughter, sibling to their three children, and at ease calling them Dad and Mother. After high school Jean may have pressed on with her schooling, on a part-time basis at least, because in 1921 she secured a job as an elementary teacher, grades 4-6, in the public schools of Johnstown. For the next several years she taught grade-school children during the day and high school English at night school for adults. She also attended summer school at Ohio State University in Columbus, earning a BS in education in 1928, age 32. She then took a job in teacher education at Indiana State Teachers College in Indiana, Pennsylvania (some 30 miles northeast of Pittsburgh). There she met Ruth Totman, and the two newly arrived teachers agreed to share an apartment. They ended up sharing a lifetime. While teaching at Indiana State, Jean continued her studies in education, pursuing MA work part-time at New York University and receiving the degree in 1933. She also took summer jobs as a demonstration teacher at Rutgers University in New Jersey, and in 1936 she left Indiana State and worked for the year ’36-37 as supervisor of elementary education at a private school in Trenton. In 1936 Ruth, who was a teacher of physical education, also left Indiana State. Ruth went to work at New Jersey College for Women (NJC, later Douglass College in Rutgers University). Jean and she continued to develop their friendship, perhaps sharing Ruth’s place in New Brunswick. By then Jean was becoming a regular visitor to Ruth’s natal home in Conway, Mass., endearing herself to Ruth’s nieces and nephews both there and in nearby towns. And in the fall of 1938 she moved to New England, having taken a job as supervisor of elementary education in the Winchester, Mass. Public school. Then in 1943, while World War II was approaching its height, she decided to pursue further schooling. After weighing the relative merits of full-time and part-time study, she decided to resign from Winchester and become a full-time student, working toward a PhD in education at Yale University. She supported herself by serving as a part-time instructor, for which she was amply qualified by her years of experience. She completed her course work and under the supervision of Dr. Bessie Lee Gambrill wrote a doctoral thesis titled “Problem Solving Opportunities in Fifth Grade Social Studies.” In 1947, at age 51, she received her degree. The previous year, with her doctoral work nearly done, Jean had accepted a post in Concord, New Hampshire as Director of Elementary Education in the State Department of Education, which was headed by Edgar Fuller. There she worked until 1949. In the meantime, Ruth had left NJC in 1943 to head the program in women’s physical education at Massachusetts State College, later University of Massachusetts, in Amherst. It gave her and Jean several years when they were near enough to spend vacation time and occasional weekends together, visiting family and friends and puttering around the house they jointly owned on Strong Street in Amherst. In 1949, after Edgar Fuller took a job heading the U. S. Office of Education in Washington, D.C., Jean accepted a post in that Office as Specialist for Upper Grades. She moved to Washington and settled in. But she was there only a few months when she was invited to spend the school year 1950-51 serving as Consultant in Elementary Education in the Education Section of the Allied Occupation government in Japan (SCAP), which was pursuing reforms of the Japanese educational system. She accepted the offer, was given a leave of absence by USOE, and flew to Tokyo in August 1950. Until then Jean had had no occasion to study Japan, but once in Tokyo she tried to acquire insight into the society and to share it with Ruth and others by sending them lengthy newsletters every week or two. Those letters reveal that the eight months in Japan were one of the most eye-opening periods of her life, as she struggled to comprehend the unfamiliar and cope with life’s difficulties, uncertainties, and unexpected delights. At the time, moreover, the Korean War was raging, and the emotional roller coaster that accompanied the wild and abrupt swings of battlefield fortune was fully reflected in her letters. But even as the adult world filled her with an unaccustomed perplexity and periodic apprehension, the children continued to delight her, and language barrier notwithstanding, she found it easy to win their hearts and enjoy their company when opportunity allowed. During her time in Japan Jean ran two semester-length seminars on early childhood development and the arts of teaching young children and training teachers for such work. Her students were professors of education and teacher training who gathered from all across the country to attend class at Ochanomizu University’s temporary campus in Yokohama (the original campus had been destroyed by wartime bombing). She also visited kindergartens and elementary schools and spoke to assemblies of teachers and school officials at several sites about the country. In the course of her stay in Tokyo she formed a number of enduring friendships, and after her retirement to Amherst she had many visitors from Japan. From her return to Washington in April 1951 until her retirement from the Office of Education in January, 1966, Jean stayed busy with official tasks and diverse special assignments. She traveled widely about the country, studying educational conditions, lecturing, and conducting workshops for teachers and school officials, state and local, in nearly every state and Puerto Rico. 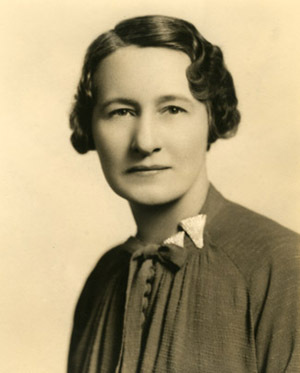 At one time or another she worked on the problems of educating exceptionally gifted children, the children of migrant laborers, and children living on Native American reservations. In the course of her career Jean also taught future teachers on many campuses, including Harvard, Johns Hopkins, Rutgers, Westminster, and the University of Maine, as well as Indiana State and Yale. She also authored numerous articles on elementary schooling and childhood development, which appeared in volumes and professional journals as well as pamphlets. She also collaborated on authoring books, one being a social studies text in which she reportedly wrote a chapter on farm life, using the Totman farm in Conway as her model. During 1966-68 Jean collaborated with Ruth and two other specialists in an intensive study of Connecticut schools’ approach to health and physical education. Their findings led to changes in the state’s Elementary School programs and to the publication of a book, Teach Us What We Want to Know (New York: Mental Health Materials Center, 1969). After completing that job and a one-year visiting professorship at Westminster College in Pennsylvania, Jean settled in Amherst in 1968. There she shared the Strong Street home with Ruth and Helen Curtis, Dean of Women at U. Mass. and Ruth’s housemate since 1945. A few years later Helen married and moved to North Amherst, so Ruth and Jean finally were reunited with a house to themselves, completing the circle begun in Indiana, PA a half century earlier. During their retirement years, the two, sometimes joined by Helen, found the energy to make a number of trips about the world. Following Ruth’s death in 1989, Jean stayed at the Strong Street house for another year, finally concluding that it was too much to maintain. She then moved to an apartment in North Amherst, a few doors down from Helen, remaining there until 1993. After a fall restricted her to a wheelchair, she moved to the Amherst Nursing Home where she lived for three years. She died there on December 10, 1996, a few months after celebrating her hundredth birthday. Her ashes were interred beside Ruth in the Totman family plot in Pine Grove Cemetery in Conway. The Gertrude M. Lewis Papers document a majority of the work and life of an educator of the masses, a traveler of the world, and a woman of the twentieth century. Living for just over 100 years, Lewis was a witness to, and a participant in, the enormous amount of change that occurred between her birth in 1896 and her death in 1996. Documents pertaining to her work as an educator of both young students and veteran teachers show the changes within the theory and practice of pedagogy over time, over various geographic locales, and also highlight her role in that change. This collection also documents the numerous on-going side projects on which Lewis worked, for instance fostering creativity in schoolchildren, a biography of Franklin D. and Eleanor Roosevelt, and even her own original poetry and prose. In addition to records of her work as a teacher, other documents showcase her work as a student, such as academic transcripts, correspondence, and notably, her lengthy Ph.D. dissertation, entitled Problem Solving Opportunities in Fifth Grade Social Studies. Lewis’ cherished personal materials are another significant part of this collection. Honest and descriptive letters along with photographs and other mementos highlight her own experiences, her everlasting friendships, and her painful losses. Of particular note is the contribution to this collection by Conrad Totman, nephew of Ruth Totman. Lewis was an important figure in his life, and he in hers. So much so was their bond that Totman was asked to be the conservator of her estate in the winter of her life. Not solely the donator of these papers, Totman added significantly to the interpretation and organization of this collection. All of the documents found herein dated after Lewis’ death pertain to Totman’s efforts to sustain her legacy. This series is comprised of materials regarding Lewis’ professional activities. A majority of the correspondence covers topics such as job offers, conference invitations, and recommendations by her peers, to name a few. Federal documents such as pay stubs, civil service materials, and official orders, highlight her work with the U.S. Department of Education, as well as her temporary assignment to S.C.A.P. in Japan. Newspaper clippings document her work traveling all over the United States as a consultant, lecturer, and occasional teacher. All of the clippings have been photocopied for research purposes. Also included is a photocopy of a news-clipping scrapbook about Lewis, which was put together by Conrad Totman’s mother, Mildred. In this series too are documents relating to the extracurricular projects that particularly interested Dr. Lewis, such as the education of Navajo children and documents relating to the book, Teach Us What We Want to Know (Connecticut State Board of Education, 1969), on which she collaborated with Ruth Totman. The contents of this series consists of various documents and artifacts of personal importance to Dr. Lewis. Correspondence to friends, acquaintances, and family highlight her sustained relationships. For example, letters from colleagues and students in Japan, whom she taught in the 1950s, were still arriving in her mailbox over thirty years later. Of particular note are the letters that Lewis penned to Ruth Totman while in Japan from 1950-1951. Honest and highly descriptive, these letters show Lewis’ personal side in a light little seen in her professional materials. Personal education materials, such as transcripts, her Ph.D. thesis, and other administrative materials, illustrate her career as a student. Also included are contributions from Conrad Totman, in the form of a short biography entitled, For the Love of Children: Gertrude M. Lewis, Educator, a transcription of Lewis’ letters to Ruth Totman, An American Educator in Japan: The Letters of Gertrude Minnie (Jean) Lewis, 1950-51, and several legal documents pertaining to her death and funerary arrangements. A finance record book and legal materials relating to a trust fund which Dr. Lewis set up for her disabled nephew, David Close, are included too. Not only are there documents, but also artifacts such as a pewter sake cup which Lewis received in Japan and six 8mm films that she recorded while there as well. Other materials in this series include personal memorabilia marking many important times in Dr. Lewis’ life, drafts of original poetry and prose, and many photographs from various points in her life. Acquired from Conrad D. Totman, 2005. Lewis’ 8mm film of Japanese schoolchildren, 1951, . Processed by Alexander D. McKenzie, April 2006. Cite as: Gertrude M. Lewis Papers (FS 096). Special Collections and University Archives, W.E.B. Du Bois Library, University of Massachusetts Amherst.